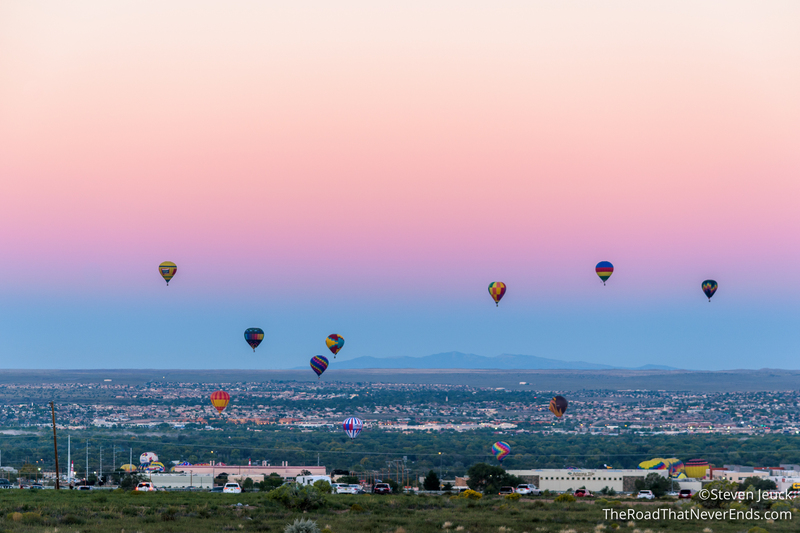 We LOVED Albuquerque! 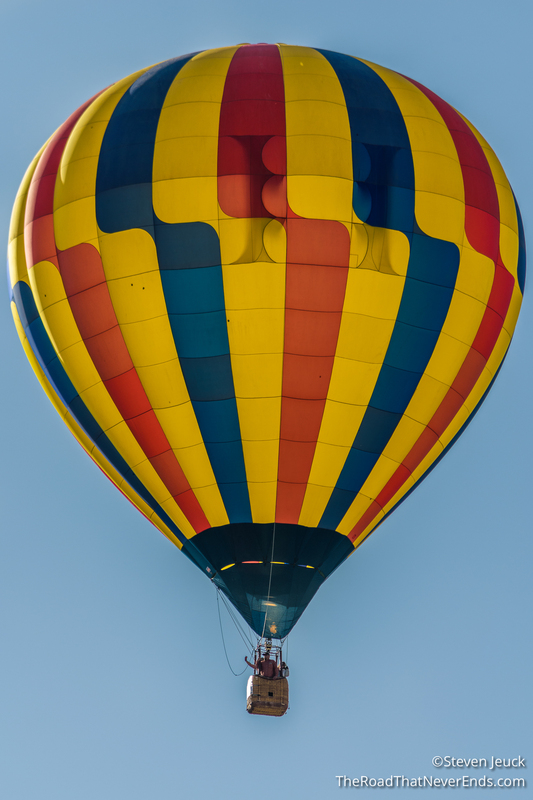 From visiting with Steve’s Uncle Mike, to exploring the Petroglyphs and checking out the Balloons from the porch, I fell in love pretty quickly. Our weekend trip was too short and I can’t wait to go back soon! Steve’s Uncle, Mike let us stay with him. Sparky loved spending time with Uncle Mike in the house, playing tug with his rope and following him around. We loved having a real bed and a shower as well. 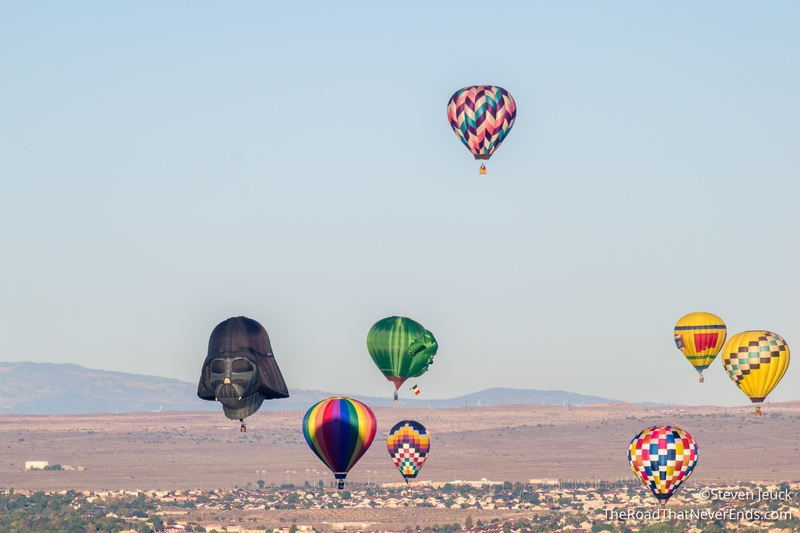 His house actually had GREAT views of the Balloon Fiesta Festival. 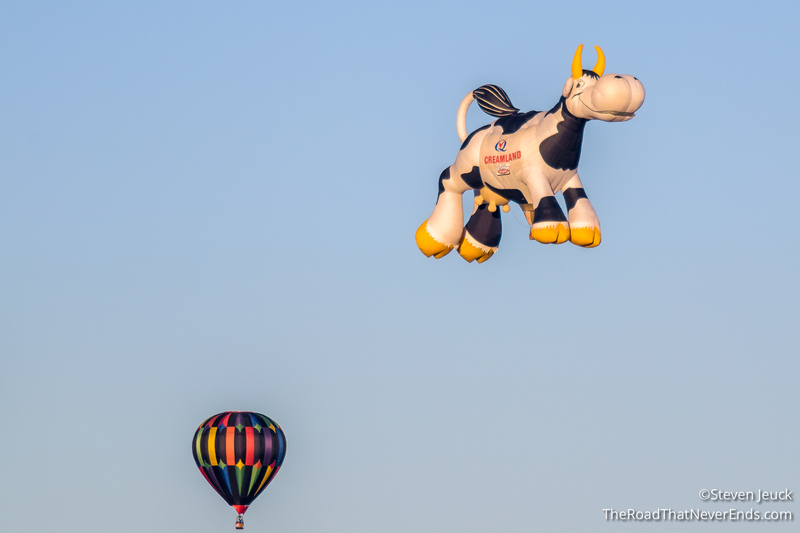 We had early morning views of the balloons launching, and nighttime Fireworks show – all from the comfort of his backyard. A lot of time in Albuquerque was spent enjoying time with Uncle Mike. 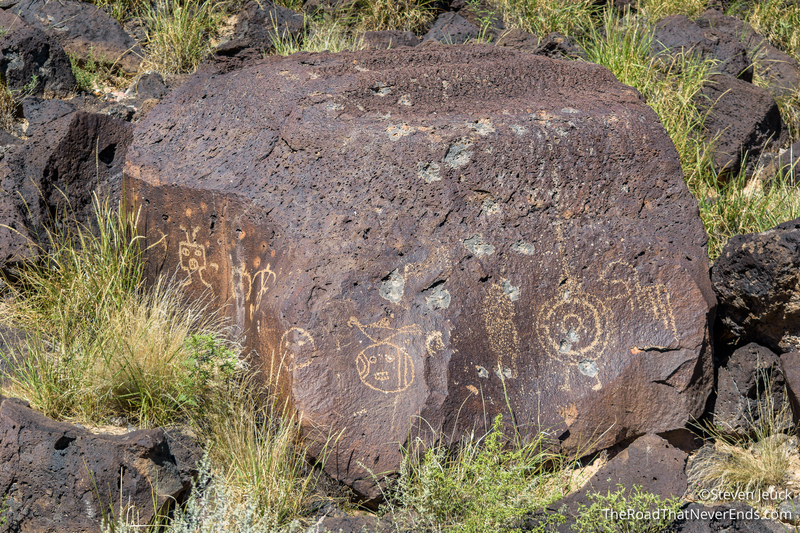 On our first day there we visited Petroglyph National Monument, less than a 30-minute drive from Mike’s house. 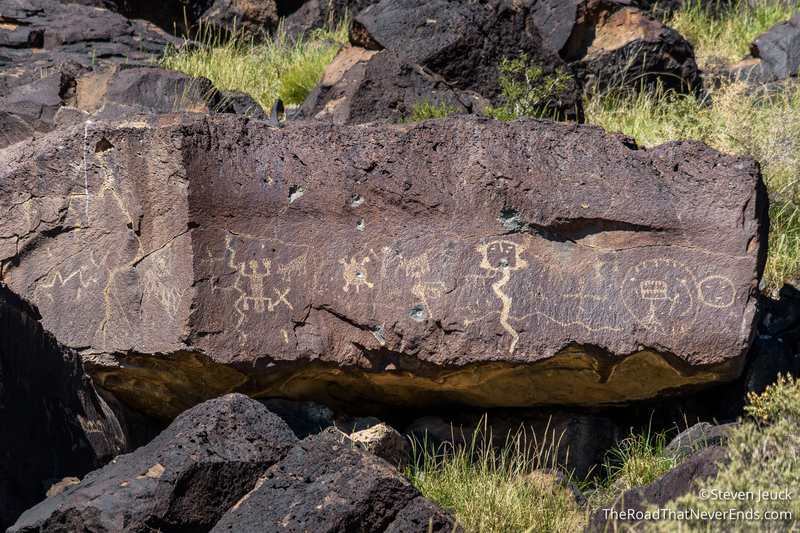 Petroglyph National Monument contains over 20,000 images pecked in stone. These images range in age, some being over 2,000 years old to as recent as the 1800’s. These stones are from an eruption that happened over 150,000 years ago. Exactly what these images the Native Americans created are, is speculated. It’s like looking at a cloud and seeing a bear when your friend sees something else completely. Some of the images are obvious, especially the more recent ones that have sheep and cows. However people interpret the images and their meanings, you can’t help but feel in awe of the place. 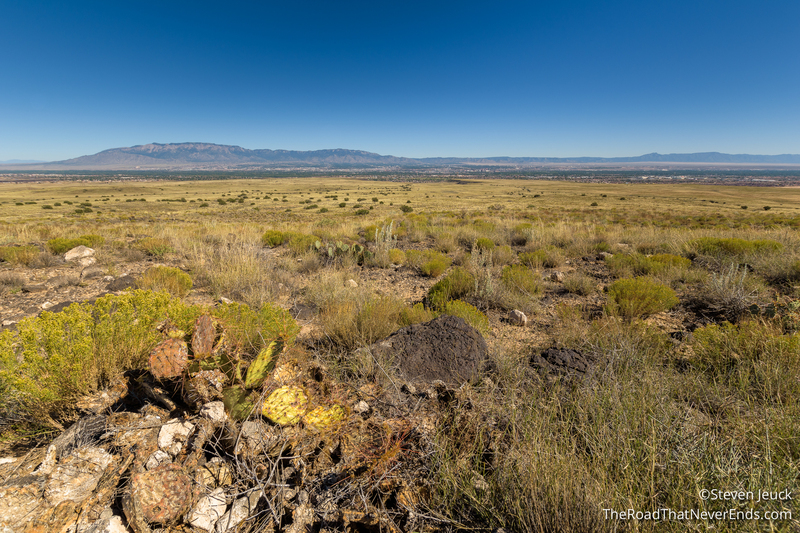 We first went to the visitor to get trail maps and then we drove to our first of three hikes: Rinconada Canyon. 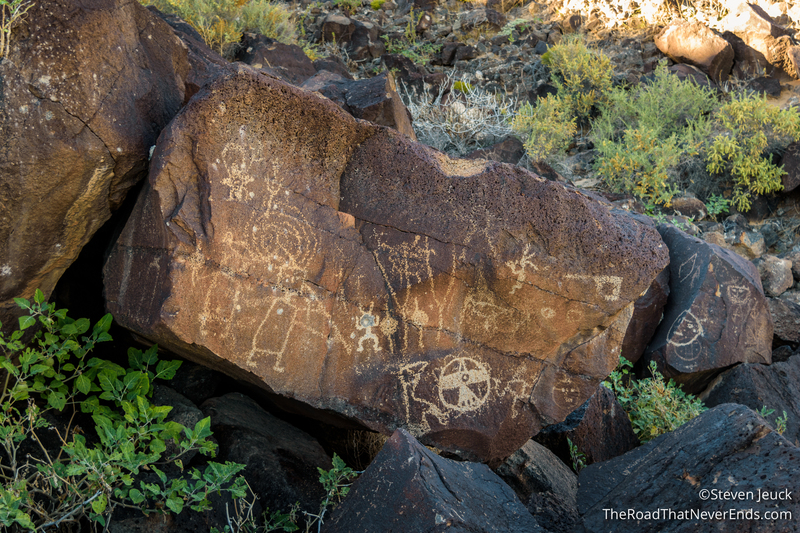 Rinconada Canyon was 2.1-mile loop trail and our first real look at the petroglyphs. There was a volunteer halfway through the loop that provided us information about some of the images. 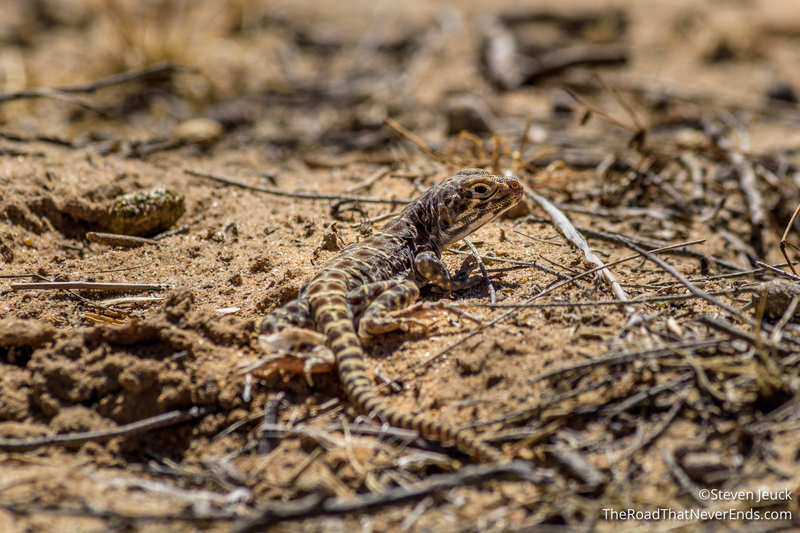 He also warned us of rattlesnakes, which we didn’t end up seeing. Our next trail was the Volcano’s trail. This loop was 3 miles, and consists of seeing three volcano’s and even walking up to the peak of one: the JA volcano, the Black volcano and the Vulcan volcano. 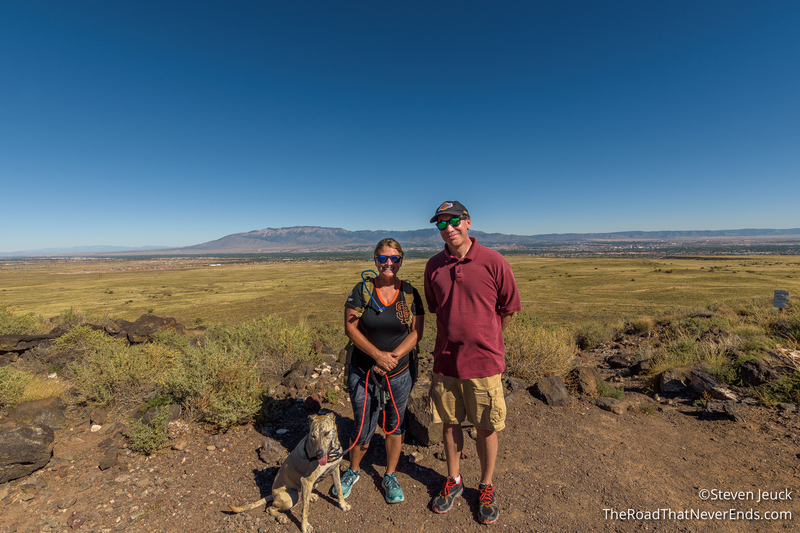 The ranger at the visitor center said this trail was boring because it didn’t have any petroglyphs, but we found it to be a lot of fun. 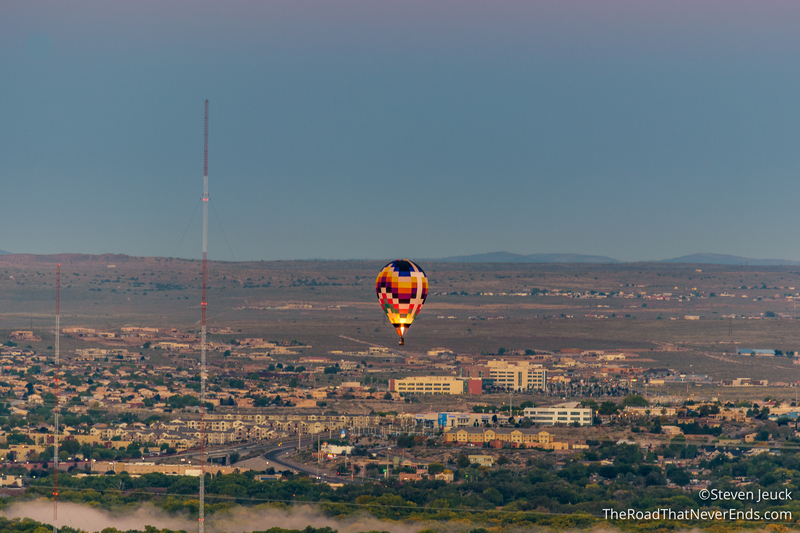 It had stunning views of Albuquerque, gave us a workout, and a chance to be in a volcano! I thought it was great. Our last hike of the evening was the Piedras Marcasa Canyon trail. This trail was 1.8 miles with a lot more “freedom”. There are several choose your own adventure paths. This trail had by far the most petroglyphs. The guide stated it had 300-400! We enjoyed this trail a lot, but as the day went on it got real hot and Sparky was done. We headed home to relax and then treated ourselves to a pasta buffet nearby followed by fireworks! The next day we slept in and enjoyed a late breakfast. 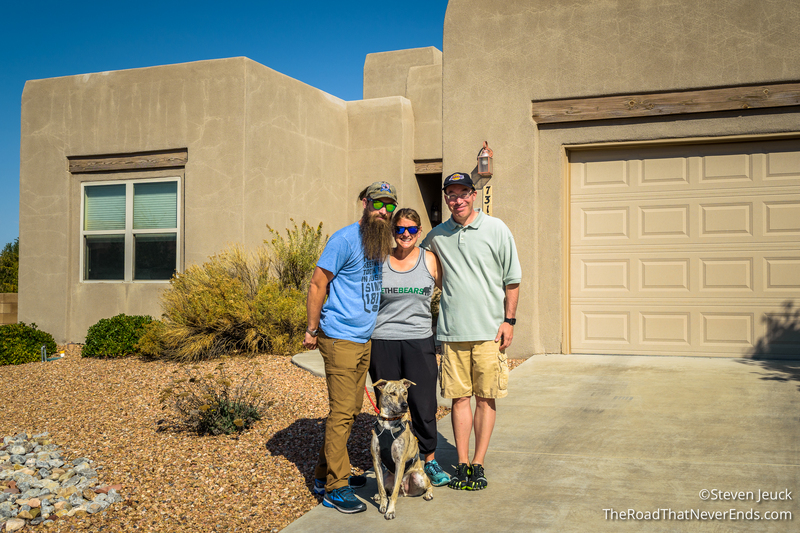 We headed to Old Town Albuquerque, leaving Sparky at home to recover from his hike. 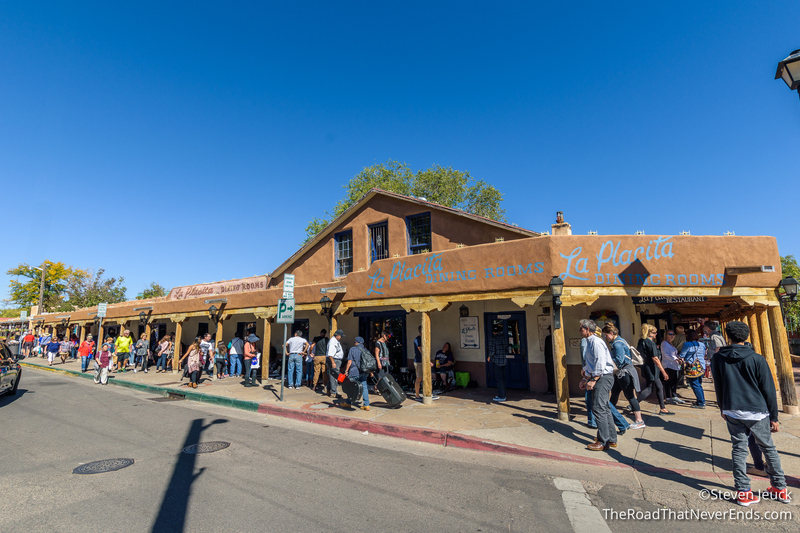 Old Town Albuquerque was created by Spanish colonist in the 1700s. There is tons of old architecture and churches to see, and a LOT of shopping. 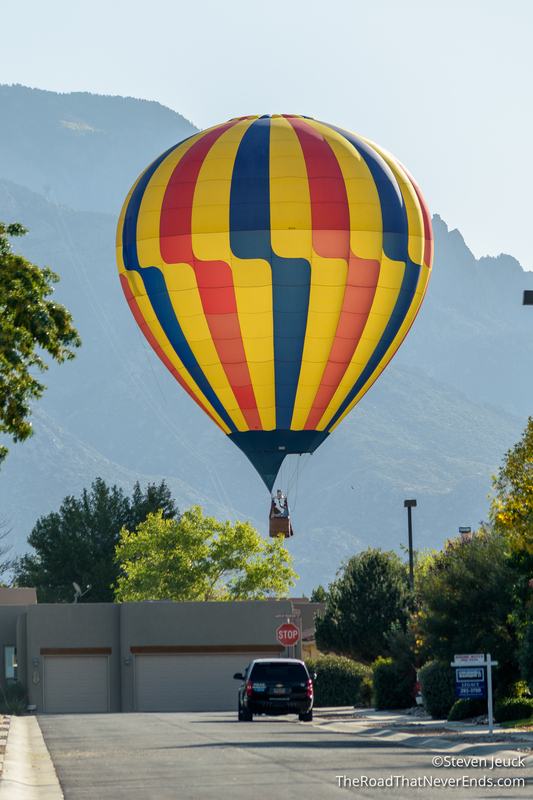 Because of the Balloon Fiesta, the area was packed. We ended up window shopping and going through a few art galleries for a few hours before we called it quits. It’s not fun to window shop when you are on a budget – I guess we will have to come back! We had lunch at a nearby pizza/sub place and really enjoyed it. We went back home to pick up Sparky for our next activity – getting Sparky a bath. He needed it really bad, and of course hated the entire 10-minute ordeal. Uncle Mike was a witness to the event and gave Sparky a treat after, which basically meant – Steve and I are dead to him and he now wants to live with Uncle Mike. After the bath we took Sparky for a nice walk around the neighborhood, which he enjoyed and suddenly Steve and I were okay in his book. That evening we ate pizza and the boys surprised me with a birthday cake! Chocolate fudge cake plus Ben & Jerry’s cookie dough ice cream – my favorite! To top it off, there were fireworks in my honor… that’s the story I heard! We had a great evening Facetiming with friends and family. Saying goodbye was quite hard, especially for Sparky. He felt he had a new home here and packing up to go can be a little unsettling for him. We had enjoyed our weekend a lot. 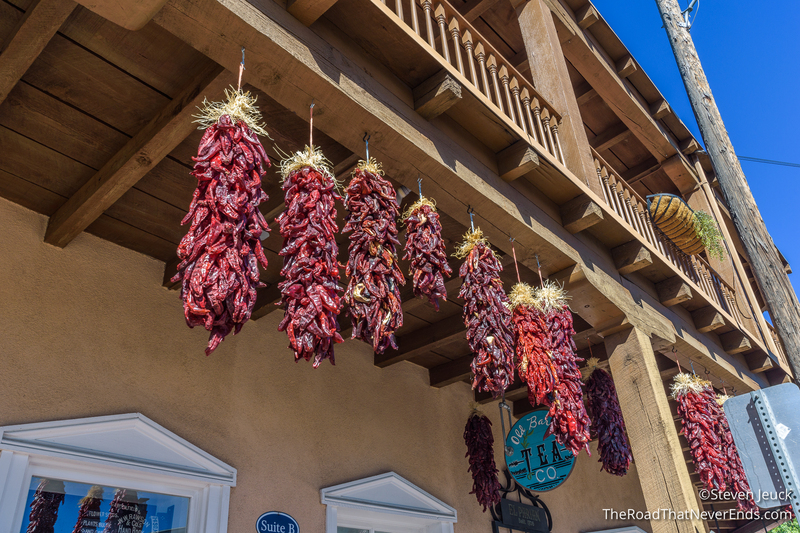 I am already planning my return visit – day trip to Santa Fe for sure! Thank you Uncle Mike for being such a great host! We miss you and can’t wait to see you soon! 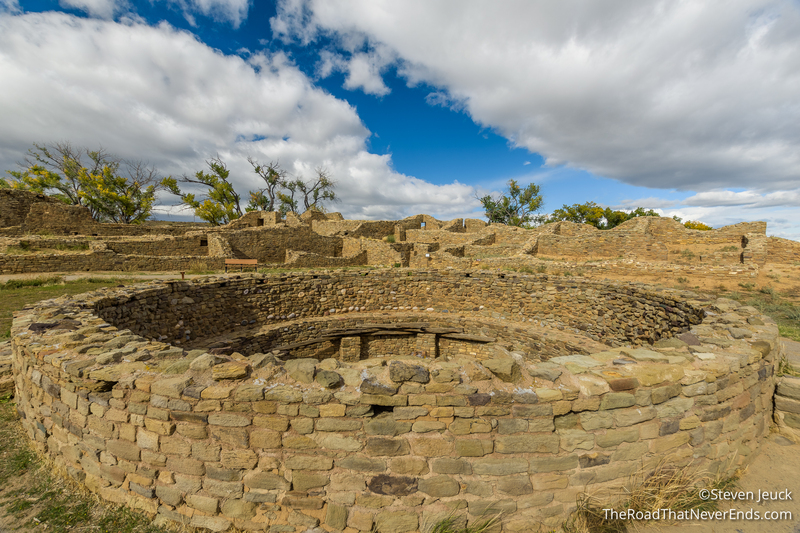 On our way to Southwest Colorado we made a stop at Aztec Ruins National Monument. Funny story – these ruins are not actually built from the Aztec people of central Mexico, but the Anglo settlers assumed the Aztec built the structures, so that name stuck. 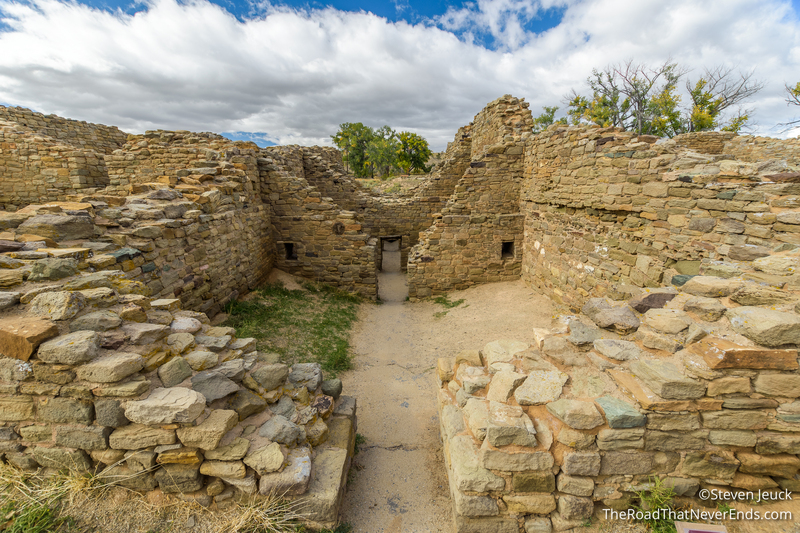 This settlement was actually built by Pueblo people who lived here between 850-1200’s. Today, it is both a National Monument and a World Heritage Site. 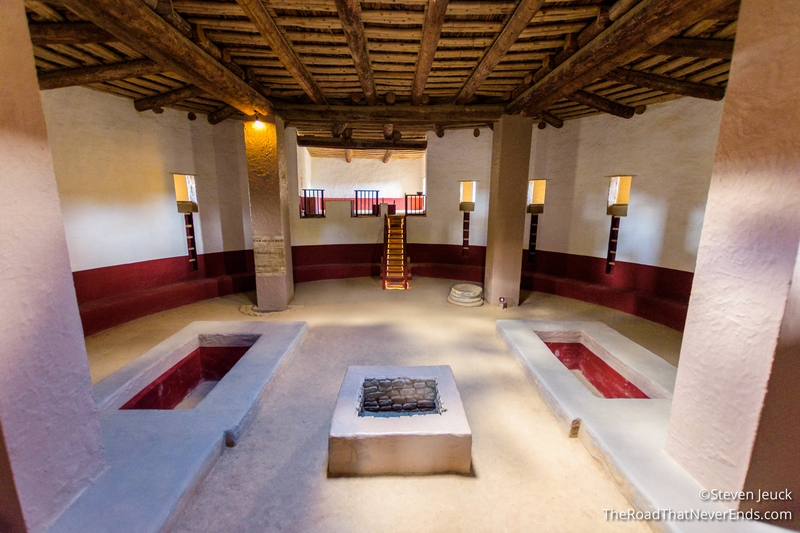 We took the self-guided tour and were impressed with how well preserved the ruins are along with recent reconstructions. We spent about an hour here and enjoyed it.